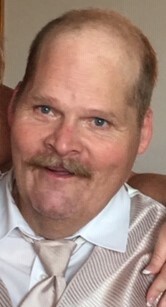 Dwayne Allen Blankenship, age 54, of Swanton, Ohio, who will be remembered as the kindest person on earth with a big heart, entered into eternal life, Wednesday afternoon, February 6, 2019. He was born December 25, 1964 in Cleveland, Ohio to William and Eleanor (Lusk) Blankenship. Dwayne was 1983 graduate of Evergreen High School, where he was involved in FFA. On October 17, 1998, he married Charlene Burkard, and they later divorced. 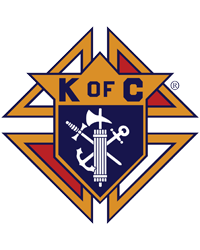 Dwayne was a member of St. Richard Catholic Church and Knights of Columbus Sacred Heart Council #2850, and was always willing to help others. He was a very active bowler and softball player, and coached the Evergreen High School Bowling Team. As his kids were growing up, he coached softball and baseball and was an umpire. Dwayne was an avid eagle and stein collector. Dwayne will be greatly missed by his sons, Frederick and Riley; stepdaughter, Amanda; grandson, Preston and the mother of his children, Charlene Blankenship. Also surviving is his sister, Michelle (Scott) Casteele; brother, Brian (Dana) Blankenship and nieces and nephews, Katlyn, Logan and Grace; and special close friends, Pat Fountain, Kenny and Jan Gillen and their children, Jaci and Shawn. Dwayne was preceded in death by his parents; brother, William Terry Blankenship and niece, Amy Lynn Snyder. Visitation will be held Monday, February 11th from 2 to 7 p.m. at the Weigel Funeral Home, 413 E. Main St. in Metamora (419.644.3601), where the Rosary will be recited at 6:30 p.m. A Mass of Resurrection will be celebrated Tuesday, February 12th at 11:00 a.m. at St. Richard Catholic Church, 333 Brookside Dr. in Swanton. Interment will follow at Wolfinger Cemetery.